OAKLAND — Nearly four years after Oakland Post editor Chauncey Bailey was gunned down on his morning walk to work, a jury convicted the former leader of Your Black Muslim Bakery of murder for ordering the journalist’s assassination. Yusuf Bey IV — who a prosecutor said terrorized Oakland — will likely spend the rest of his life in prison for sending two followers to kill Bailey after learning the journalist was writing a story about financial problems and inner strife at the bakery. Bey IV, 25, also was convicted of ordering the deaths of two other men, Odell Roberson and Michael Wills, in summer 2007. The three, first-degree murder charges carry a mandatory sentence of life in prison without possibility of parole. Bey IV’s co-defendant, Antoine Mackey, was convicted of helping confessed killer Devaughndre Broussard hunt down Bailey and of killing Wills. The jury deadlocked on a third charge against Mackey — whether the 25-year-old former bakery member helped Broussard kill Roberson. Mackey also faces life in prison without the possibility of parole on the two, first-degree murder counts; sentencing for the men is set for July 8. Defense lawyers are promising appeals. Bey IV, in a dark pinstriped suit and trademark bow tie of his Black Muslim faith, stared straight ahead as the verdict was read. Mackey stared at the high, tiled ceiling of Judge Thomas Reardon’s courtroom. Bailey was shot Aug. 2, 2007, on 14th and Alice streets in Oakland. “We gotta take him out before he write that story,” Broussard said Bey IV told him and Mackey. Broussard, 23, accepted a plea deal in exchange for his testimony and is to be sentenced to 25 years in prison. Bailey, 57, was the first journalist killed over a domestic story in the U.S. since 1976 when Don Bolles of The Arizona Republic died in a car bombing. Broussard also confessed to killing Roberson, 31, on July 8, 2007. Bey IV ordered that killing in retaliation because Roberson was related to a man convicted of killing Bey IV’s older brother, Broussard said. Wills, a 36-year-old sous chef, was shot by Mackey on July 12, 2007, as Wills walked to a corner store. After Wills’ death, Mackey and Bey IV bragged they killed a “white devil,” Broussard said. Alameda County District Attorney Nancy O’Malley and Assistant District Attorney Melissa Krum, who prosecuted the case, said justice was served for the three victims as well as for a bedrock principle of a free press. “The First Amendment is not going to be murdered by murdering journalists,” said Krum, who credited the work of investigators and other attorneys in her office for their work. She also acknowledged the journalists of the Chauncey Bailey Project, a coalition of reporters who came together to investigate Bailey’s death, for working to ensure that all those responsible would be brought to justice. Christopher Lamiero, who first prosecuted the case starting in September 2007 before handing it over to Krum, said investigators moved slowly but for years knew what had happened. “It was clear to all of us that Mr. Bey had given the order,” he said. O’Malley said cutting a deal with Broussard, an admitted two-time killer, wasn’t pleasant, but his testimony proved essential to exposing what had really happened. Bey IV was stunned by the verdict, said his attorney, Gene Peretti. “It’s a devastating verdict and we’re very disappointed,” Peretti said, adding he’d hoped the lengthy deliberations had been a good sign for his client. Jurors began deliberations May 23. Peretti, who did not make an opening statement and called only one witness in Bey IV’s defense, told jurors that Broussard was a liar and an unbelievable witness and that Krum’s case collapsed without him. Mackey’s lawyer, Gary Sirbu, stressed the same argument, although he called three witnesses, including his client. Jurors deadlocked 8 to 4 on whether Mackey helped Broussard kill Roberson. Mackey, who spoke to police at the scene of the Roberson killing, said he was buying candy at nearby store and happened upon the murder scene. Sirbu said Mackey’s convictions are ripe for appeal. “There are very significant issues for the court of appeal to consider in this case,” Sirbu said. Those include Reardon’s refusal to try Mackey separately from Bey IV and Krum’s inclusion of crimes involving bakery members before Mackey joined the organization in May 2007. Bey IV’s mother, Daulet Bey, arrived at Reardon’s locked courtroom too late to witness the verdicts. 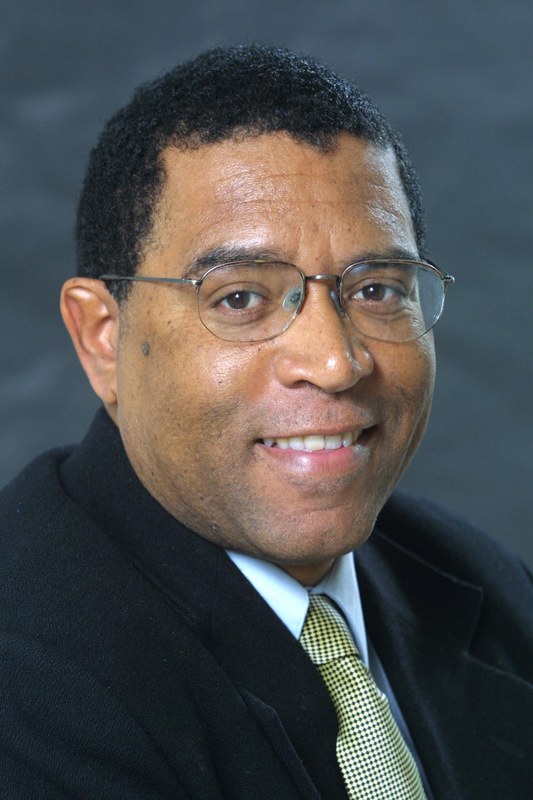 Bailey, a former reporter for the Oakland Tribune, had been appointed editor of the Oakland Post, a free circulation weekly paper covering the city’s African-American community, only weeks before his death. He had written but not published a story about the bakery’s 2006 bankruptcy filing that a judge had recently converted from reorganization to liquidation. Post Publisher Paul Cobb — who refused to speak to a reporter Thursday — had rejected the story, claiming it didn’t contain enough attribution. At the time, police suspected bakery members were involved in two other killings as well as the kidnapping of two women and the torture of one of them. Police had planned to raid the bakery compound the day before Bailey’s murder, but delayed to accommodate the vacation schedules of two senior SWAT commanders. When police raided the bakery the day after Bailey’s death, Broussard threw a shotgun — later determined to be Bailey’s murder weapon — out his bedroom window and was arrested. He repeatedly told police he didn’t kill Bailey, but Bey IV, in separate interviews with detectives, claimed Broussard had told him he committed the murder. Broussard told jurors that Bey IV convinced him to give a flawed confession. “He said I was being tested by God,” Broussard said. He said he was promised a Bey-family lawyer, money and a light jail sentence in exchange for protecting Bey IV from charges he ordered the killing. Within days, police said they didn’t believe Broussard acted alone, but did not investigate other suspects vigorously. Bey IV and Mackey were not charged in Bailey’s killing until April 2009, after Broussard agreed to cooperate with prosecutors. When he finally testified against his former friends, Broussard laughed as he described how he shot Roberson and acted in what defense lawyers described as a bizarre manner, sometimes taking a minute or more to answer a question. During breaks in his testimony he often rocked back and forth in the witness chair and appeared to be muttering to himself with his eyes closed. Krum said Broussard was far from the perfect witness, telling jurors he was a sociopath, but, in effect, was chosen by Bey IV, not her. “Sometimes you have to make a deal with a demon to get the devil,” she said in her closing argument, pointing at Bey IV as she said the last word. Staff writer Angela Woodall contributed to this report. Contact Thomas Peele at tpeele@bayareanewsgroup.com. Follow him at Twitter.com/thomas_peele. July 8: Odell Roberson, 31, is killed with an AK-47 assault rifle near the Your Black Muslim Bakery compound on San Pablo Avenue. July 12: Michael Wills, 36, is killed, also near the bakery, with the same AK-47. Aug. 2: Chauncey Bailey, 57, is slain with a shotgun as he walks to work in downtown Oakland. Aug. 3: Police raid Your Black Muslim Bakery, arrest Devaughndre Broussard, who says he killed Bailey. Aug. 9: Federal judge orders the bankrupt bakery liquidated. April 21: Broussard tells grand jury Yusuf Bey IV ordered Bailey, Wills and Roberson slayings. Broussard said another bakery member, Antoine Mackey, killed Wills and helped kill Bailey and Roberson. April 29: Alameda County grand jury indicts Bey IV and Mackey on triple-murder charges in plea deal with Broussard. Sept. 15-16: Defense attorneys say that Bey IV and Mackey, who have pleaded not guilty to all charges, can’t get a fair trial in Alameda County because of intense publicity and ask that the trial be moved. The judge eventually rejects the claims. March 21: Bey IV and Mackey’s trial begins in Alameda County Superior Court in Oakland. May 23: Jury begins deliberations. June 10: Bey IV is convicted of three counts of murder for ordering the deaths of Bailey, Roberson and Wills. Mackey is convicted of murdering Wills and also of helping Broussard kill Bailey; the jury deadlocks on whether Mackey helped Broussard kill Roberson. Sentencing is set for July 8. My thanks to Melissa Krum and her team for their hard work in bringing this trial full circle and to the jury for following the truth in their decision. We are reminded often as to just how many families have been affected by the decisions that were made on those three separate occassions that took the life of Odell Roberson, Michael Wills and Chauncey Bailey. Also affected are the families of those convicted of these deaths .. I understand that. But know this .. Michael did not choose to die on the morning of July 12th, 2007 .. choices were made by others to take his life. Even though my son has been silenced physically, I have not .. my time to speak is coming. May Chauncey Bailey rest in peace and I hope his family have some sort of closure. The pain and memory will always be there but even a gram less on there shoulders will help. Good job to the police and everyone involved. Justice should always prevail.